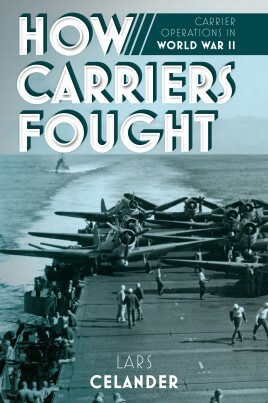 A detailed examination of carriers and carrier operations in WWII, looking at the tools behind the major carrier battles and their evolution throughout the war. Lars Celander has had a lifelong interest in naval and military history. With a MSc in Physics, he did his military service as a systems engineer, gaining operational experience of various radars, missiles, guns amongst other things and has worked for several years as a design engineer on radar and radio communication systems. He is trained as a private pilot and is an avid yacht racer. He has written a number of titles on various technical topics.